Starling City (and The CW) have a new savior in Arrow - who dominated last week’s rating by kicking in the teeth of hired assassin Constantine Drakon but a greater challenge is coming for the fledgling hero in the form of deadly DC Comics mercenary Deathstroke the Terminator. After giving the highly-anticipated character a nod in the premiere episode via his tattered iconic black and orange mask, the CW is now giving fans a better look at one of the series’ most dangerous supervillains. IGN had the exclusive, dimly-lit, image - showing the fan-favorite character holding one of the titular hero's trademark arrows. Comic-book sticklers will be delighted to see Deathstroke sporting his famed half-black and half-orange mask. 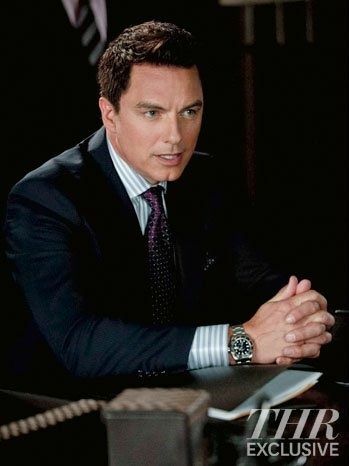 The CW is also giving fans an extra treat by pairing the newly released Deathstroke photo with the first images of John Barrowman (Torchwood) as a mysterious, still-unnamed, character. Currently only known as "Well-Dressed Man", judging by the new photos, it looks like Barrowman’s character will pose a threat to both Arrow and his alter ego Oliver Queen (Stephen Amell). 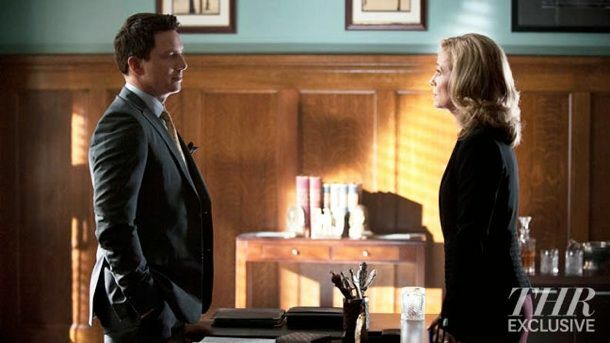 The fact that Deathstroke and Barrowman’s "Well-Dressed Man" will both make their Arrow debut in episode five, titled ‘Damaged’ had led to speculation that the two characters are one in the same. Although this seems unlikely as stuntman/actor Jeffrey C. Robinson is billed as playing Deathstroke, it wouldn’t be the first time two actors played the same character in and out of costume. That said, in the DC comics on which Arrow is based, Deathstroke has stuck predominantly more to the war room than the boardroom, which also makes it somewhat improbable Barrowman’s mysterious character is an updated version of Deathstroke’s alter ego Slade Wilson. 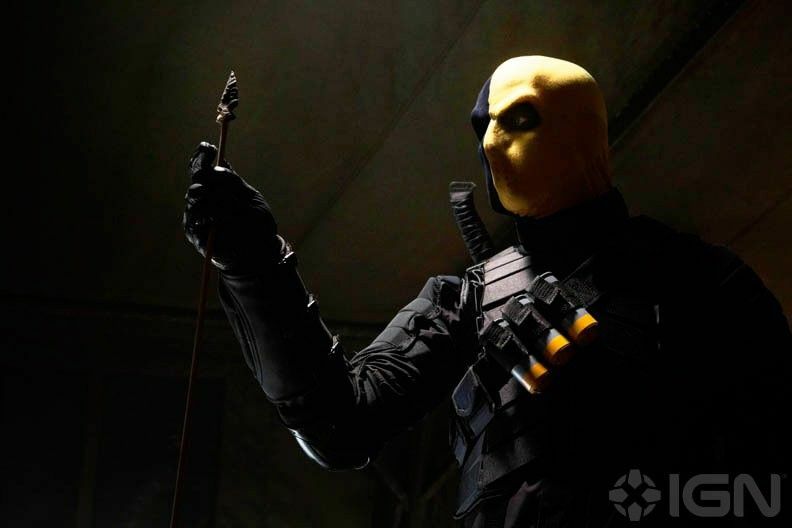 Exactly who is under the mask is not the only rumor swirling around Deathstroke’s upcoming appearance on Arrow – after seeing his torn mask on the same mysterious island Oliver was stranded on for five years, many fans are predicting Arrow may have been trained by Deathstroke himself.